Tom Vickers brings specialization in Probate law, Guardianship law, and Estate Planning, as well as extensive experience in Corporate and Contract law, Real Estate and Business Formation, non-profit formation and mediation services to the firm. Licensed for over 8 years, Tom has handled many complex probate cases involving extensive estates and large families disputes including Will contests, Administrator disputes, and multi-state jurisdictional issues. Tom is certified as a Guardian Ad Litem and has extensive experience in complicated guardianship cases. 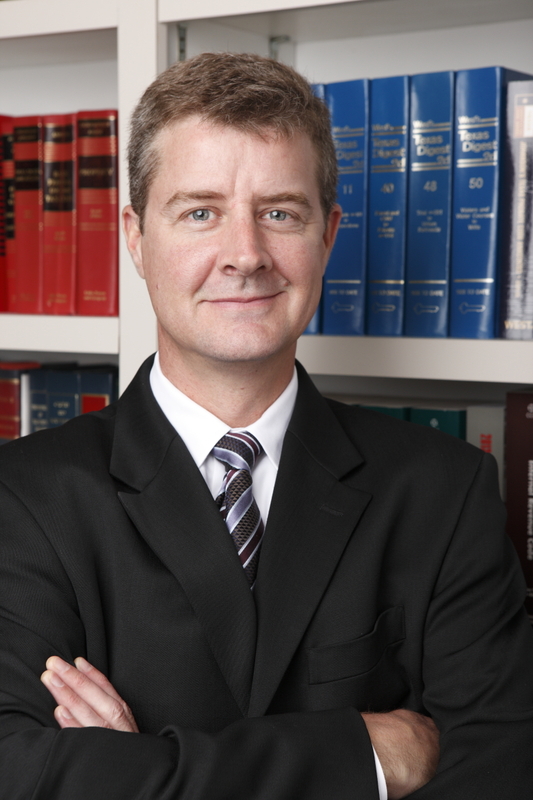 He is often appointed by courts statewide to handle cases where few other attorneys have the experience to bring about a resolution and he works closely with Adult Protective Services and the Department of Aging and Disability in many cases to protect the rights of individuals being taken advantage of by unscrupulous individuals. Tom is experienced in forming and advising local and international 501(c)(3) Non- Profit Organizations and has helped to form Non-Profit Companies doing service work in Africa, Mexico and Central and South America.Tom is also a certified mediator and works with the Bexar County Resolution Center as both a mediator and class proctor. Tom is an expert negotiator and is often able to find solutions to problems and situations where none seem to exist. Before joining Murphy & Vickers as a firm partner, he worked for the Harris County Probate Court, where he learned the inner workings of Texas probate law and litigation. He also served at the South Texas College of Law Center for Conflict Resolution with the Honorable Frank Evans, who is widely known as the father of alternative dispute resolution (ADR) in Texas.